USA Today names Zoëtry Paraiso as one of the top 10 all-inclusive resorts! We couldn’t be more proud on this lovely Travel Tuesday to announce that Zoëtry Paraiso De La Bonita Riviera Maya has been named a top 10 all-inclusive resort by USA Today! According to USA Today, for an all-inclusive to stand out it must go above and beyond the standard amenities and offer fun and exciting ways for guests to indulge. We certainly agree that Zoëtry Paraiso fits the bill! 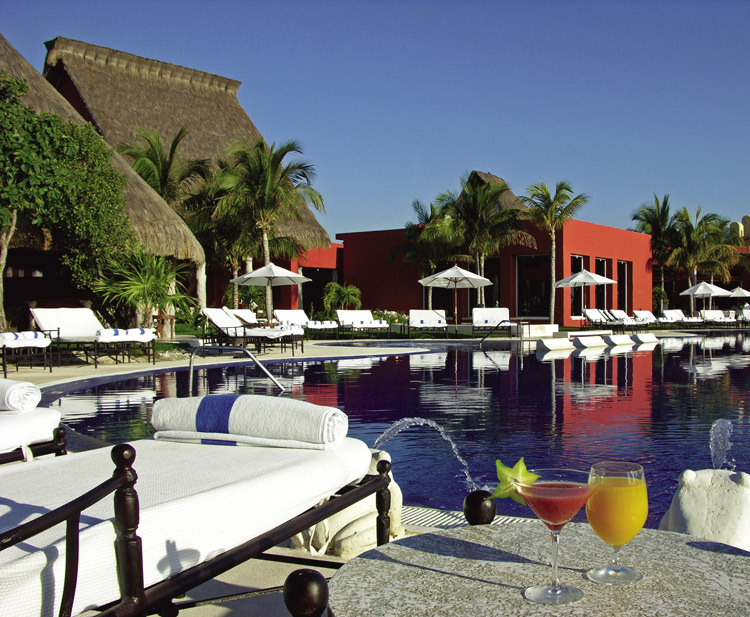 The beautiful main pool at Zoetry Paraiso De La Bonita Riviera Maya. According to USA Today, “Zoëtry Paraiso offers a romantic, wellness-centric boutique experience in the Mayan Riviera. Room layouts are unique, with indoor gardens and plunge pools. The pool area and beach are relaxed and tranquil, and the on-site dining keeps the resort’s wellness theme alive with delicious, healthy meals.” They also praised Zoëtry Paraiso for the inclusion of amenities not standard at most all-inclusive resorts, such as the “welcome” bottle of tequila, daily bottle of champagne, one-hour Catamaran sunset sail, three-times-daily maid service and private chauffeured airport transfers. Are you ready to see for yourself why Zoëtry Paraiso De La Bonita Riviera Maya is such a standout all-inclusive? The time to book is now! Enjoy $200 air credit when you stay for 4 nights or $350 when you stay for 7, plus up to $400 in resort coupons, when you reserve your stay by May 28th! This entry was posted in Zoëtry Paraiso de la Bonita, Zoëtry Wellness & Spa Resorts and tagged all-inclusive, luxury, Mexico, Vacation, Zoetry Paraiso de la Bonita Riviera Maya, zoetry resorts. Bookmark the permalink.